If you decide to spend a night here, you'll have pretty much whole silvermine to yourself! Although a bit scary, we recommend to take some music with you, as the total silence inside can be really…unsettling. And remember that you're not afraid that you're alone down here - you're afraid that you're not alone! Luckily, there is staff member available by intercomm radio at all times. 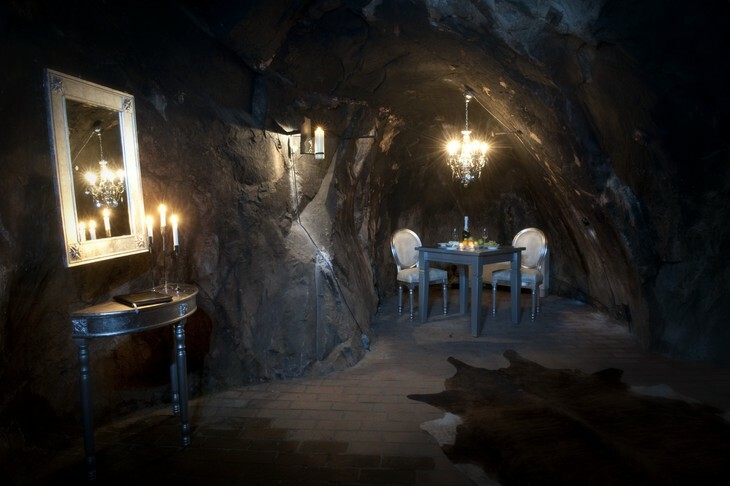 Underground room has two chairs, lamp and very comfortable bed. Unforgettable stay!